Click on the browser window’s title bar. 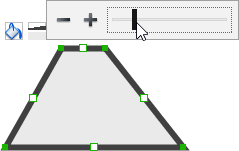 This shows the resize handlers at the corners and edges of the browser window. You can drag on them to resize the browser window. 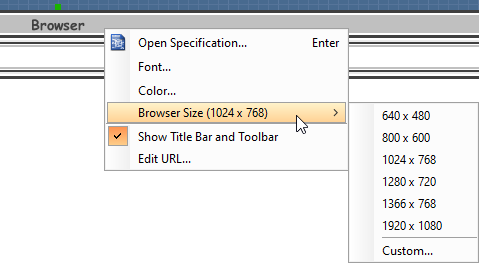 Alternatively, you can right click on the browser window’s title bar and select Browser Size > %PREFERRED_SIZE% from the popup menu. 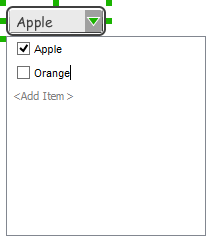 To hide the title bar and toolbar, right click on the browser window’s title bar and de-select Show Title Bar and Toolbar from the popup menu. 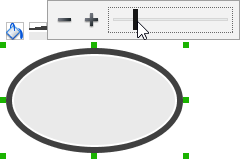 To show it again, right click on the wireframe and select Edit Browser Frame. Move the mouse pointer near the top most of the browser window. 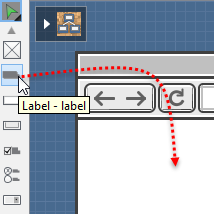 Right click and select Show Title Bar and Toolbar from the popup menu. 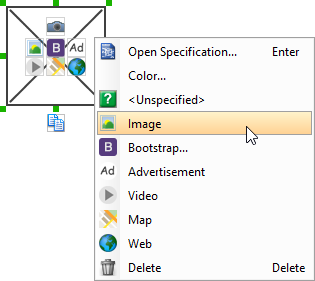 To edit the displaying URL, just double click on the URL field and enter the URL. 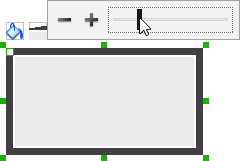 If you have scrolled to somewhere far away from the wireframe, you can scroll jump back to the device by right clicking on the background of the wireframe and selecting Scroll to Device from the popup menu. 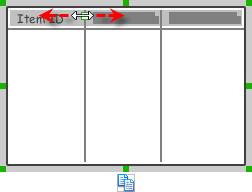 The wireframe will re-appear at the center of the window immediately. 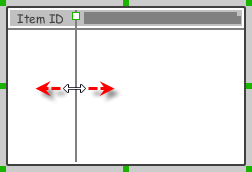 Click directly on the wireframe, at the position where you want the wireframe element to be created. 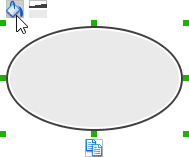 You should see a green icon appears, known as the Smart Create resource. 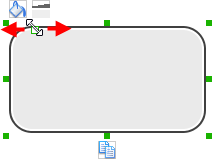 To create an annotation, double-click outside the browser window and enter the annotation text. Alignment guide is a dotted line that appears when you move wireframe elements in a wireframe. It helps you to align elements perfectly with others. Simply select element(s) and drag it around. When the selection approaches another element in the wireframe, you can adjust the positioning of selection with the help of the guide. 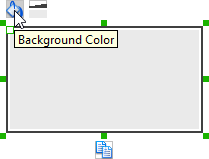 Edit the color properties in the Color window and click OK to confirm. Note that different wireframe elements support different settings. 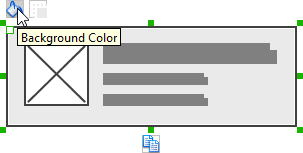 For example, while text field support editing font color, panel doesn’t. 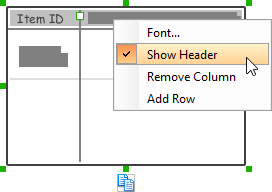 Drag in the wireframe to select a range of elements to be duplicated. Note: Instead of dragging the Duplicate resource, you may click on it, too. 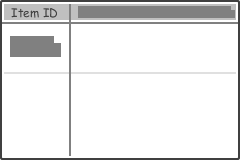 In order to keep the wireframe content readable, annotations are forced to put outside the browser window. In other words, you cannot create or move an annotation to inside the browser window area. 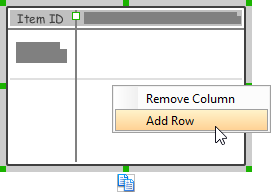 To specify the content of label, double click on the label and enter the content. You can press Enter to create a new line, or press Ctrl-Enter to confirm editing. 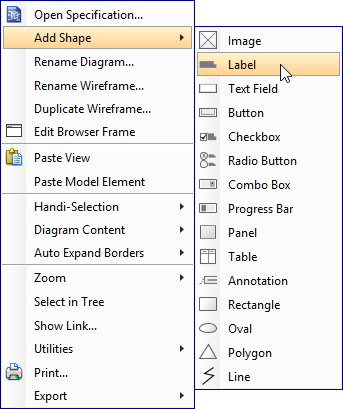 You may need to resize the label afterwards in order to see the content entered. 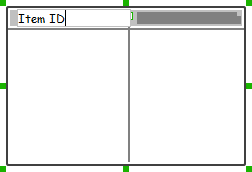 Note: When a label has specified content, you cannot show multiple labels in it. When the content is filled, the size of label(s) or text in label can be changed. 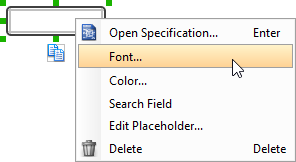 To adjust the font, click on the label component. Then, click on the Font Size button. After that, drag the slider or press + or – to adjust the font size. 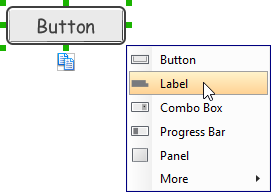 By default, a combo box has no items specified. 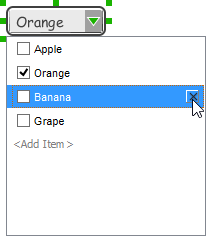 You can add into a combo box a list of items by clicking on the down arrow on the right of the combo box, and then click on <Add Item> and start entering the item. By default, a date picker highlights the date on which the widget was created. 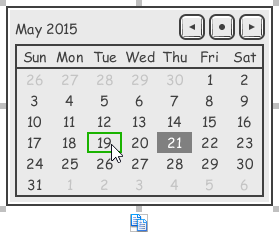 If you want to ‘pick’ another date, simply click on the desired date on the date picker. If you want to change the active month, click on the forward and previous button at top right. If you want to change the active year, double click on the text of month and year at top left and edit it. 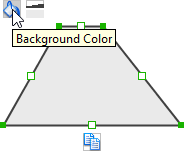 To change the background color of a rectangle, click on the rectangle first. 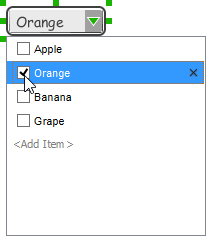 Then, click on the Background Color button on top of the rectangle. After that, edit the color properties in the Color window and click OK to confirm.